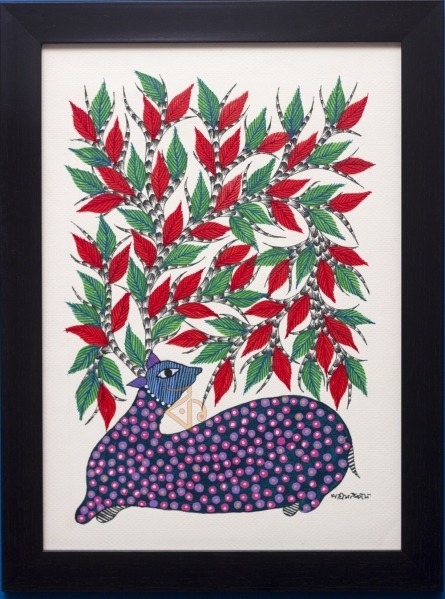 Gond painting depicting a deer along with trees of the forest. The various elements of the forest support tribal life in various forms. This vivid image of colorful forest with the deer is brought to life by the Gond Artist.